Let’s start with the engine. 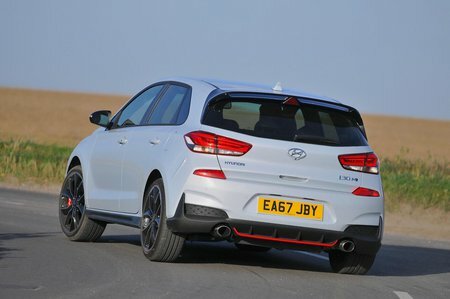 Both the i30N and i30N Performance use the same 2.0-litre turbocharged four-cylinder petrol engine but in different states of tune, which accounts for their differing power outputs of 247bhp and 271bhp. Both have the same amount of maximum torque (or low-rev pulling power), though, and there's an overboost function to increase it for up to 18 seconds for a bit more kick when overtaking. While you have some choice in the regular I30, the Fastback comes as the Performance model only. In reality, you’d be hard-pressed to discern the Performance version’s extra poke on the road. While both models feel every bit as quick as – if not quicker than – the likes of the Volkswagen Golf GTI, even the Performance model lacks the monster straight-line pace of more powerful rivals such as the 316bhp Honda Civic Type R.
Don’t take that to mean the i30N feels sluggish, mind – it really doesn't. With a relatively crisp accelerator response (better than the Civic Type R's, for example), there's plenty of oomph from 1500rpm and a willingness to rev with gusto; both versions feel punchy and exciting. They sound good, too, particularly the Performance model, with its standard switchable sports exhaust. It growls menacingly like an angry mobster when you accelerate hard, and the spits and bangs that erupt from its twin rear tailpipes when you back off are enough to prompt reports of Tommy gun fire. The six-speed manual gearbox – there’s no automatic option – is a sweet thing to use. It doesn't have quite the mechanical immediacy of the Civic Type R’s, but it’s better than the manual 'box in the Renault Megane RS. This, and the crisp clutch bite point and meaty, progressive brake pedal, add to the sense that the i30N is a properly sorted car. And this is confirmed the minute you launch it in to a corner and feel the alacrity with which it reacts before settling mid-bend. The i30N has a steering rack that's heavily revised to be quicker than the regular i30 and, with the drive modes in the softest Comfort setting, weights up nicely while telegraphing little sensations through the rim to give you a real feel for the grip beneath you. It gets a little too heavy in the racier modes but, unlike many rivals, you can mix and match the settings to achieve the set-up you desire. For instance, the sweeter Comfort steering setting can be matched with the fierce accelerator response of the wildest N mode. The tweaks you can perform include tailoring the suspension dampers’ stiffness. To keep everything tied down, the N's suspension has been lowered by up to 8mm and fitted with adaptive dampers. Even in the softest setting, body lean is kept to a minimum; the dampers simply get tighter the stiffer you make them. And because the damping and spring rates are so well judged, the wheels can traverse awkward bumps without the i30N losing its composure. It’s a satisfying and confidence-inspiring car that’ll make driving enthusiasts smile. The standard i30N gets 18in wheels shod with regular tyres, while the Performance model has 19in rims with grippier rubber that was specifically designed for this car. The more powerful model also gets an electronically controlled limited-slip differential, which meters the power more effectively to the front wheels, dragging you out of tight turns with a minimum of wheel scrabble. 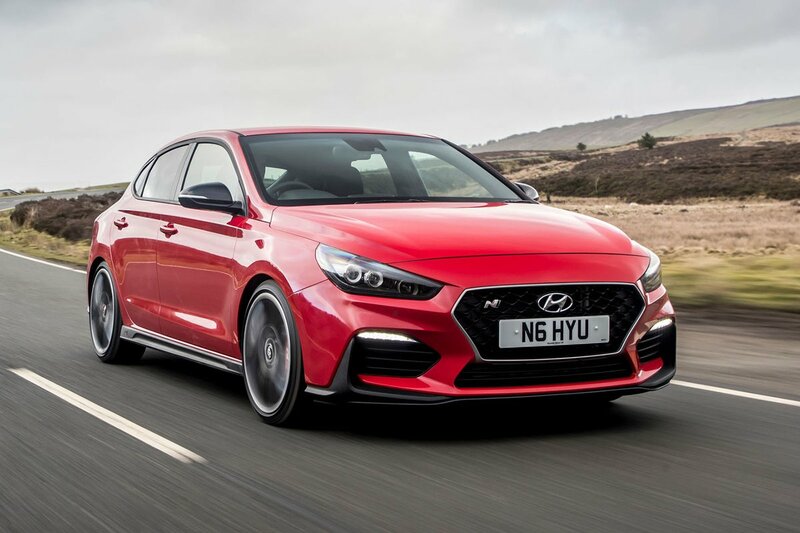 Although Hyundai has tweaked the suspension in the Fastback compared to the regular hatch, you’d be hard pressed to tell any difference between the two. 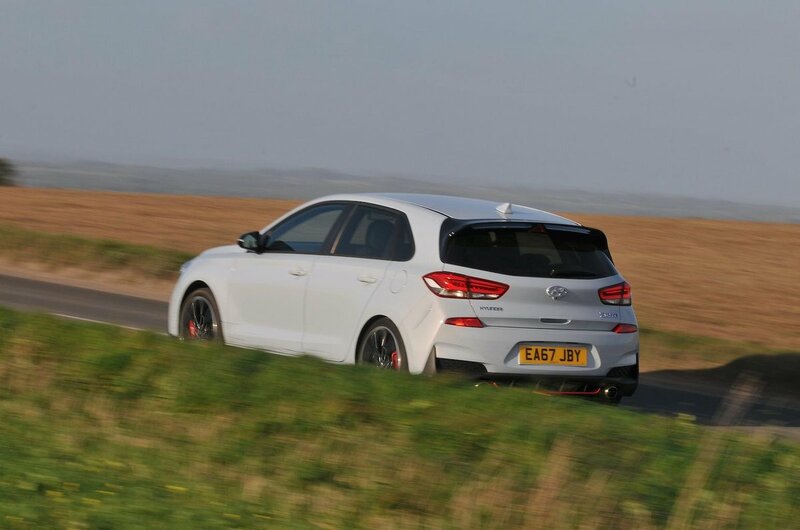 Those looking for the ultimate hot hatch experience will still find more to like about the stunningly good Civic Type R, but the i30N Performance possesses so much traction and grip that you’ll have to try very hard to reach its limits on the road. In some ways, this makes the standard i30N, with its slightly lower limits, more playful and fun. With the dampers set at their softest, the ride is way better than the consistently bouncy Renault Megane RS, if not quite as calm as the Civic Type R. This makes the i30N a hot hatch that you can use every day with ease.